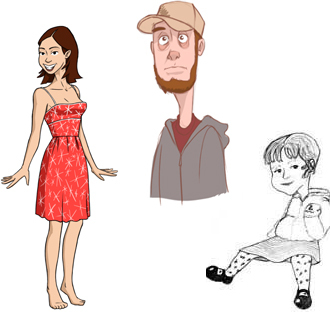 Character design for animated short, Busstop. 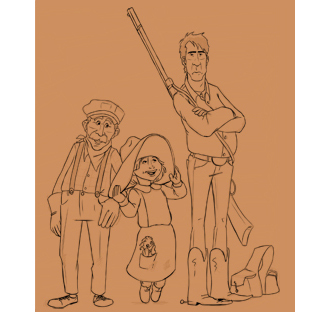 Character designs for an animated Western I proposed to Blue Sky Studios and Fox during a pitchfest. 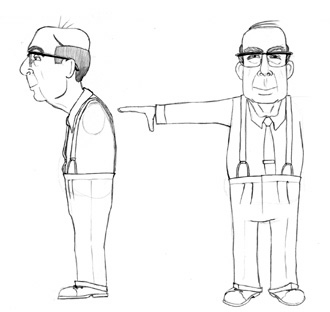 Character design for the animated short, Murder. 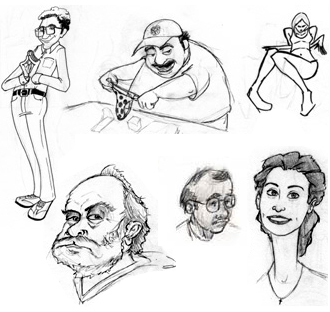 Although not the final design, this drawing includes many of the characteristics given to the revised protagonist. 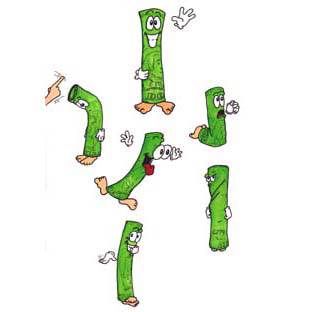 Originally created for a Qwest payroll website, Mr. Bill expresses various emotions despite his limited shape. 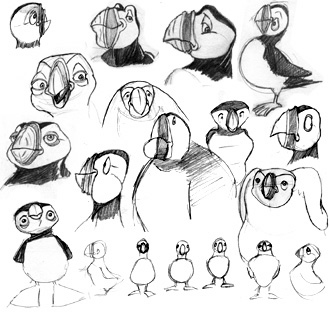 A series of sketches for the development of an animated short about puffins. 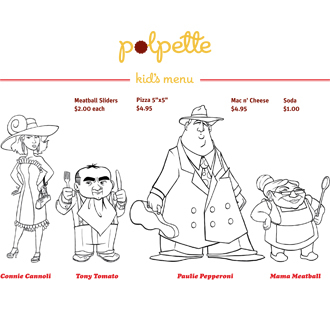 These characters for a NYC Italian restaurant's kid's coloring menu take inspiration from their food related names: Connie Cannoli, Tony Tomato, Paulie Pepperoni and Mama Meatball. 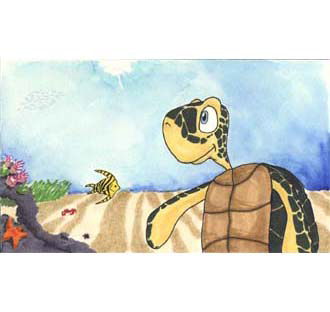 This character was designed for an animated short about a young sea turtle who ventures out alone into the ocean and discovers what he has missed in his sheltered life. 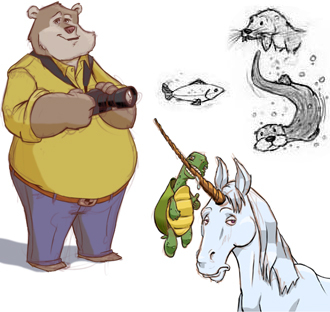 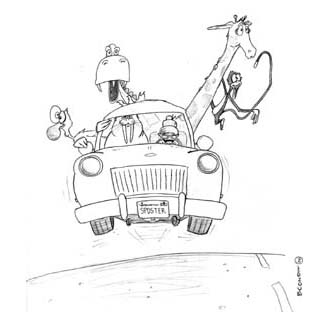 This funny sketch combines both animal and human cartooning to capture the motion and excitement of a ridiculous situation. 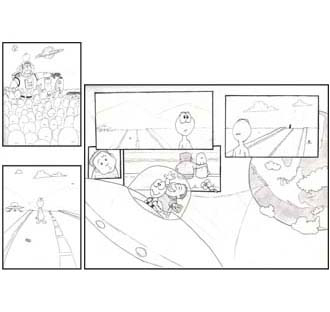 This narrative is about a small alien who meets a spaceman and decides to travel to Earth. 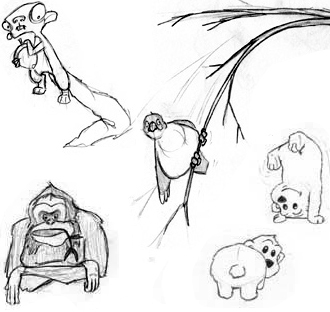 These sketches are the beginning of a longer story I would like to tell through animation. 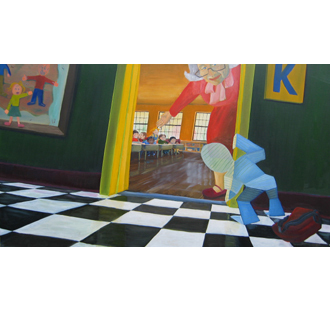 This painting depicts a scene from a narrative I plan to animate about a boy made of paper going to school for the first time. 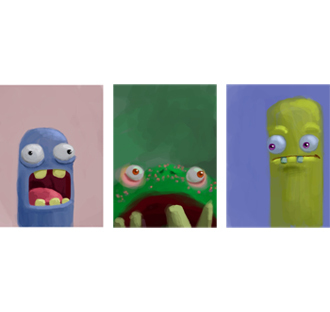 A collection of monsters painted on my smart phone. 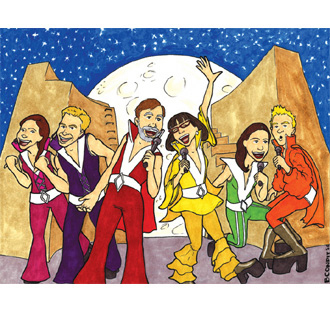 Inspired by the musical, Mama Mia, this is an illustration with a "new cast." 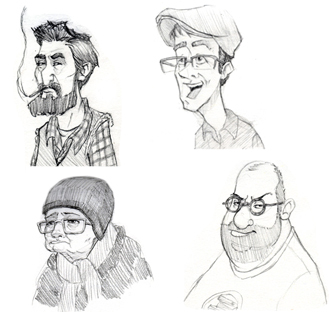 Small vignettes inside a series of frames represents my trip to London. 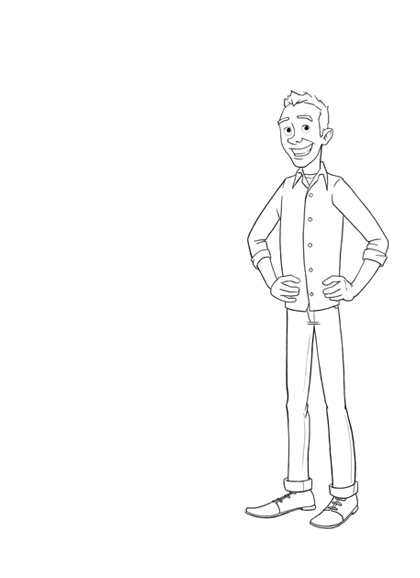 A pigeon tries to blend in and be a human for a day. 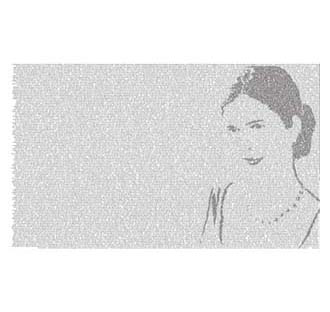 The composition of this poster represents the distance between two people whose only means of communicating is via email. 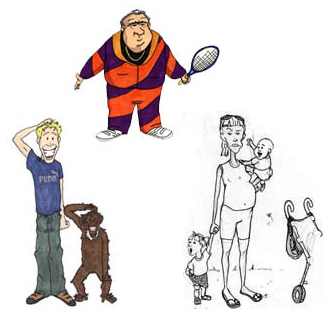 A simplified image is created by varying text density. 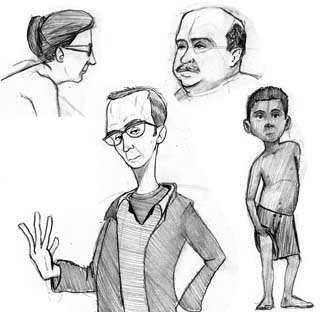 A collection of drawings from my sketchbook. 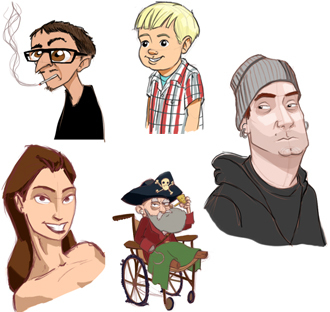 Each drawing quickly captures specific characteristics that define the person's personality and physical traits. 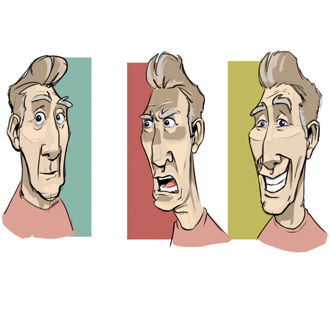 An exercise in facial expressions. 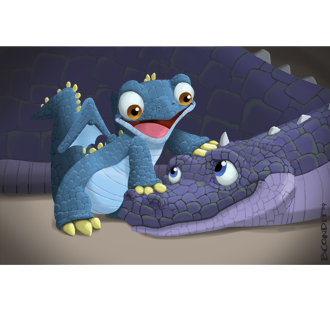 A mother dragon and her newborn son. 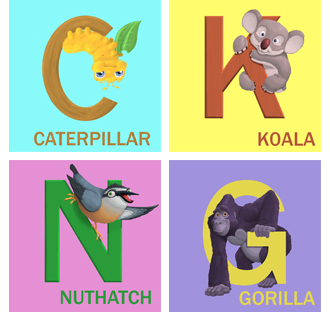 A series of animal alphabet paintings. 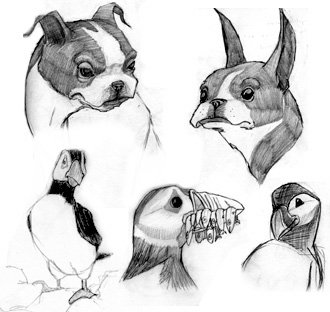 Inspired by photographs or my own imagination these drawings explore a variety of ways to depict animals. 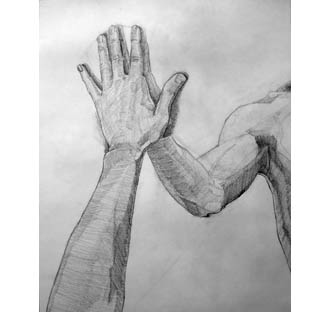 A two hour hand study focusing on human proportions, anatomy and composition. 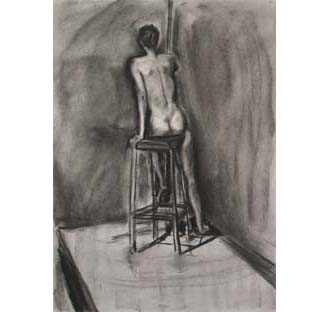 A one hour figure study from a live model focusing on human proportions, posture and weight. 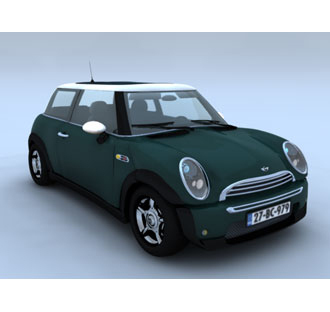 Using NURBS patches in Maya, this realistic render of a mini cooper was an exercise in reproducing a mechanical object. 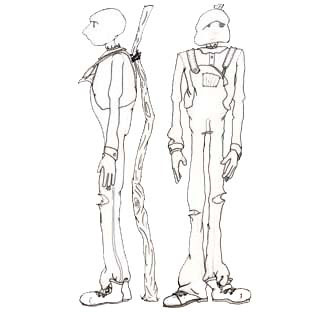 Herbert Design, graphite, 8"x 10"
Scarecrow Design, india ink and graphite, 8"x 10"
Mr. Bill, ink, 8"x 10"
Grandma's Trip to the Zoo, graphite, 8"x 10"
Alien's Journey to Earth, graphite, 10"x 8"
Mama Mia, permanent ink, 10"x 8"
London Fall 2005, mixed media, 15"x 12"
Sketchbook Project 2011, graphite, 4"x 6"
Re:, plotter print, 42"x 30"
Hand study, graphite, 14"x 20"